Vaillant has been setting the standards in the heating market for more than 130 years, creating products that have revolutionised the industry. Today, as Europe's number 1 heating technology manufacturer, our heating systems cover renewable technologies, domestic gas boilers, hot water cylinders and controls. 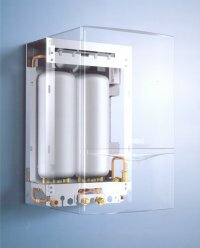 All systems provide the same enviable reputation for performance, efficiency, quality and reliability that has become synonymous with the Vaillant brand. 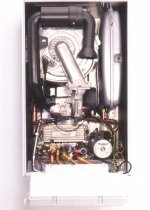 We offer a 5 years Warranty on all our Vaillant boilers! Contact us for more information. For domestic heating, our products boast the highest energy efficiency ratings and lowest emissions. At the same time we continue to develop new solutions that further simplify boiler installation, commissioning and servicing and ease of use, both at home and in the workplace. You can be sure that when it comes to creating the ideal environment, Vaillant has it all under control. The Vaillant solar domestic hot water system is the most advanced complete solar heating system available. As constant innovators committed to renewable ebergy, Vaillant are always developing new products such as the geothermal heat pump which uses the natural heat stored in the earth to help provide hot water for your home.